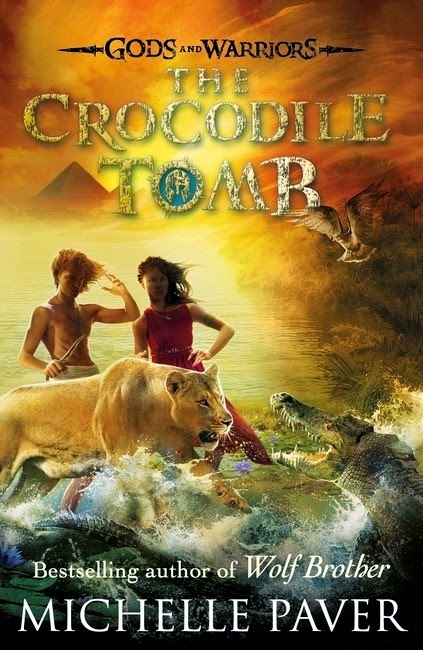 The Crocodile Tomb cover and synopsis! Now if you've been around the last few years you will know that I am OBSESSED with Michelle Paver. I adored her Chronicles of Ancient Darkness series! So much so that I got a tattoo inspired by the books! And I am equally loving her current series, Gods and Warriors, and it hardly seems real to say this, but the fourth and penultimate instalment comes out in August and I cannot wait to read it! Well, now we have the cover art and the synopsis to whet our appetites and boy oh boy does this sound like a corker! "A country at the edge of the world. A hidden tomb. A buried secret. Hylas and Pirra have found their way to the mysterious land of Egypt in pursuit of the dagger of Koronos, only to find that the Crows have got there first. Led by Hylas's deadly enemy, Telamon, they are determined to recover the legendary blade, by any means necessary. But the dagger now lies buried beyond the reach of mortals. If Hylas and Pirra want it back, they will have to make the most dangerous journey of all - into the realms of death itself . . ."
Wow! I am so excited to see how Hylas and Pirra react to Ancient Egypt and how things continue! With only 1 more book after The Crocodile Tomb it's an exciting time to be a Michelle Paver fan as she knows how to wrap a series up incredibly well and I cannot wait to see how this one fares! Roll on 6th August! So, yesterday I finally overcame my fears! After years and years of planning, thinking about it, worrying about pain, blood and needles, and finally biting the bullet, I got not 1, but 2 new tattoos! Yay! 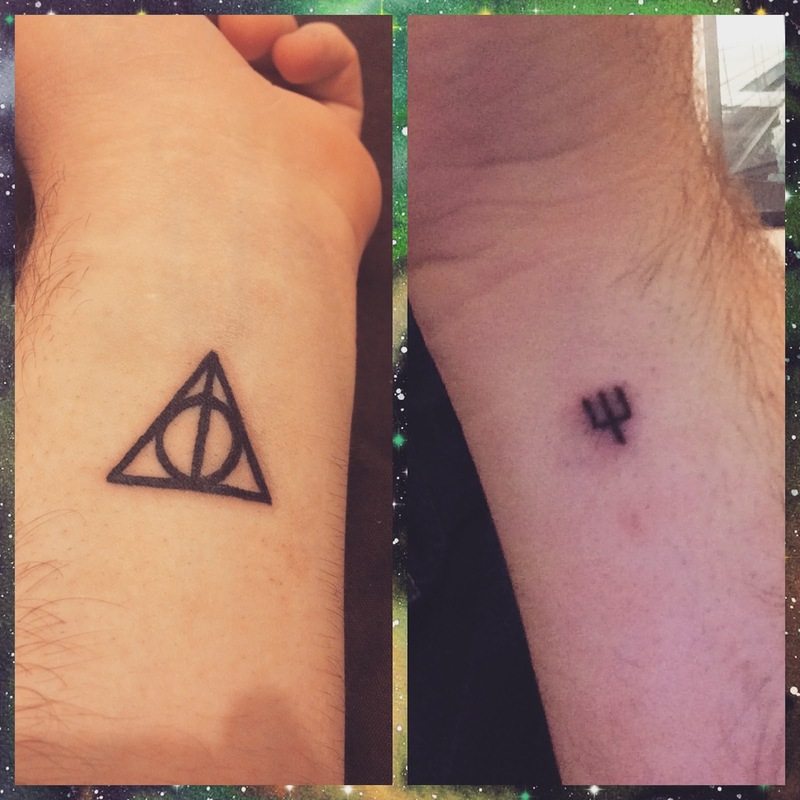 I have wanted both of them for an incredibly long time, and being the mega nerd I am, they are both book related, so I wanted to take the time to make this post just to explain the reasons behind them and the meanings too! So first off, here they are! I freaking love them! They are still a bit red and swollen here as this was about 2 or 3 hours after they had just been done. There are still some ink smudges around that will be cleaned off, of course, but I LOVE THEM! So, some explanations... The first one I had done, the one on the left is obviously the most recognisable. It's iconic and unique to the wonderful Harry Potter series by the incomparable J.K. Rowling. And it is of course the mark of the Deathly Hallows! I was obsessed with the books as a kid, reading the first 3 back to back when Harry Potter and the Prisoner of Azkaban came out because my Nan saw the books and thought me and my sisters would like them... She was right of course, and my obsession has never really died down. Through the rest of the series, to the films, to now, I am still as obsessed as ever and as soon as I finished Harry Potter and the Deathly Hallows, I knew I wanted one day to have some way of remembering my obsession and the mark of the Hallows seemed like a great place to start! Not only is it symbolic of my love for this series, but also for something it kickstarted in me. I remember being 11 years old, on holiday at Haven Caravan Park in Hastings (somewhere in the south of England) and getting Harry Potter and the Order of the Pheonix. I had been waiting so long! I couldn't get it the day it came out because it was a family friends wedding. Gosh I remember that day so well! We even walked past a WH Smith with a massive banner outside saying that the book was on sale that day. I was so mad. My mum said I couldn't have it, so I went to my Nan who was also there, the same one who introduced me to the series, and she said no too. Man, I was GUTTED! But I waited, and after 2 weeks, I finally got a copy when we were on holiday and I spent the rest of the time in the caravan reading and falling in love again. I remember thinking how people were getting so excited about this book, how everyone was clamouring for it and dying to know what happened next, and I wanted to give people that same feeling! It was around this time that I decided I wanted to be a writer and ever since I have been crafting and honing my writing. I dream of being published one day, but until such a day comes, I still know that it is J.K. Rowling and her world, her characters, her words and her incredible imagination that inspired me to start writing in the first place, and for that passion I have found I will never be able to thank her enough! It also symbolises some things personally for me. Around the time the series was coming out, we lost all four of our surviving grandparents (we had been raised with 6 technically, as my mums mother and father both remarried) from 2004-2008 in very quick succession and this took a massive toll on us. Around this time, my reading and writing really helped me through some tough times and was a real form of escapism that I just could not get enough of. 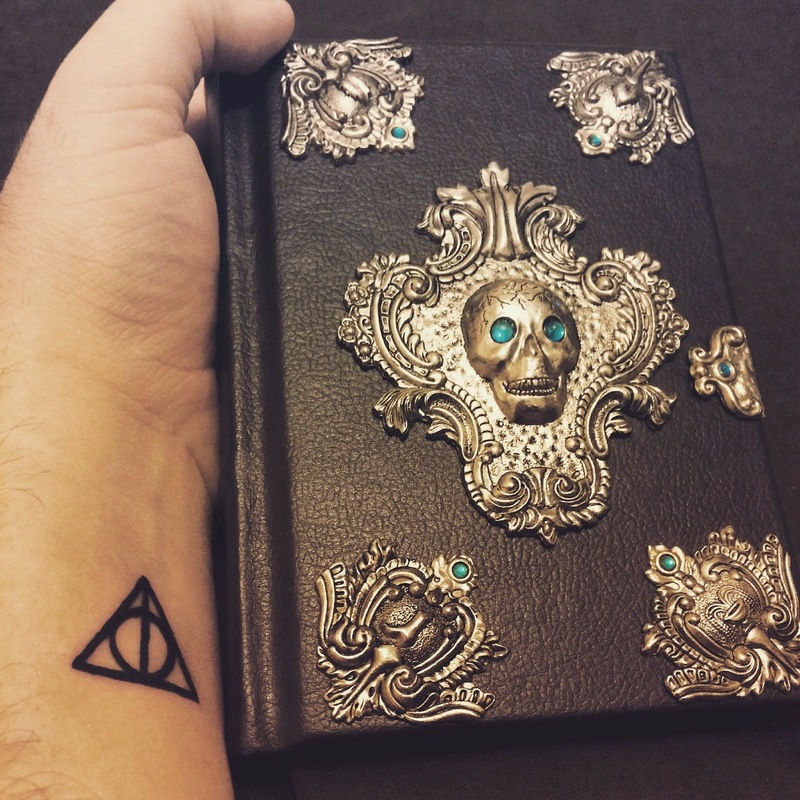 The symbol in the book obviously related to death and how if you have all three Hallows you will become the Master of Death, and this spoke to me. Kind of a reminder that we can't fight death and just to enjoy my life as much as I can while I am here! The mark comes from the Tale of the Three Brothers, taken from The Tales of Beedle the Bard. I ADORE my collectors edition copy, which I only got last year. It is stunning and I love this picture I took of my tattoo and the book! I'm so happy I have had it done at last! And on to the second tattoo, then! This one is a wee-little dinky one, and it literally took 30 seconds but it's one I love and have wanted even longer than I have wanted the Deathly Hallows mark. People that know me will know that I am freaking obsessed with Michelle Paver. I think she is an incredibly talented individual with a stunning mind and her books feel so real and yet so magical, so fantastical, that I only have to turn the page and I am drawn into the world of the Forest with its hunter gatherer society, or the world of Ancient Greece with their bronze daggers and erupting volcanoes. This tattoo comes from her first series, Chronicles of Acient Darkness which started with Wolf Brother, and continued on through Spirit Walker, Soul Eater, Outcast, Oath Breaker and finally, Ghost Hunter. This series literally blew my mind. I would get the newest addition, read it in several hours and already begin lamenting the fact that I had a whole year to wait for the next one. My love knew no ends. I have met Michelle several times, and used to write to her all the time (which reminds me, I should really write to her again as it has been a while!) and she is so kind, so sweet and so brilliant to be around. She gives off this energy that is so intoxicating and makes you want to go on adventure like her characters. It's amazing. Again, she has been a MASSIVE inspiration for my writing, and has given me a lot of advice and encouragement which I cannot thank her for enough. I attended a writing course she did back when Outcast came out in 2007 and it was so much fun and she was such a great teacher in that respect. And it is so true! We all have good and bad sides, and it is up to us how we choose to utilise them. Whether we act upon our good intentions or our bad ones, what sort of person we really are. The symbol I have had tattooed is the mark of the Soul-Eaters. In the books, they have it on their chest, directly over their heart, but I didn't want it there. I wanted it as a reminder of the above quote, that I can be good and I can be bad, it's up to me who I am and who I want to be, as well as the fact I just think it is cool and for Michelle's inspiration. The design itself is probably different from the one they actually had in the book, it isn't actually specified as far as I can remember. However in the books, they use little symbols in the place of asterisks to mark breaks in the story whilst still in the same chapter. At times in the series there are reeds, mountains, waves, a small oak tree, and this symbol, which I took directly from the text for my tattoo! 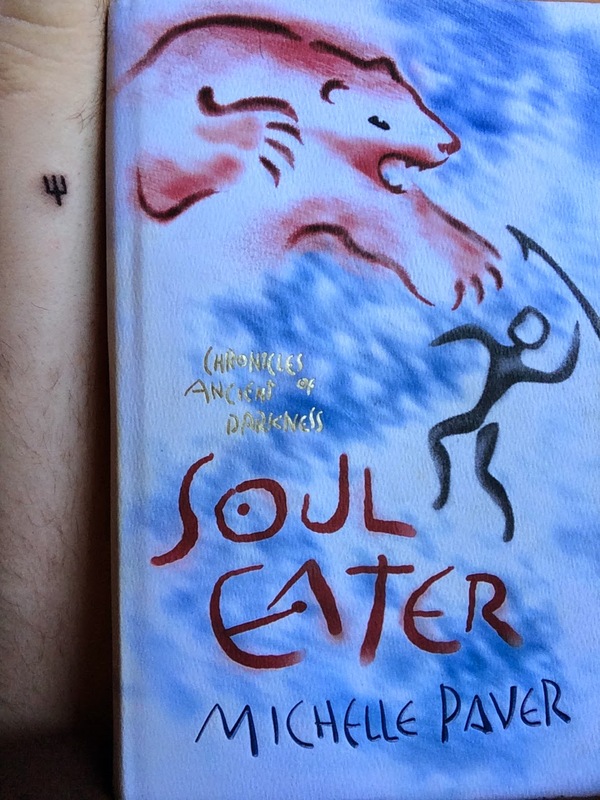 We first encounter the Soul-Eaters properly in the third book, Soul Eater, so I took a picture with the book just because! Who needs a reason? Ha! Yes it is small, it's the exact size as it appears in the book, but I am not a fan of massive tattoos and wanted little ones to start off with so if I do decide I want a bigger one at some point in the future I know I can handle it and what to expect pain-wise, because it was literally painless. I didn't feel much of the Hallows tattoo, but when he did the Soul-Eater tattoo, it felt a bit like the needle was pretty deep in my skin and tickled a fair bit but like I said, that was 30 seconds of my life and now I have 2 tattoos I love and am proud of. They have true meaning for me, my life and I have thought about them for a very, very long time so cannot see myself ever regretting getting them! So there you go. My bookish tattoos. Maybe I'll get more, may I won't. Who knows? First off I want to say what an honour and privilege it has been to be a part of this whole thing. The Terry Pratchett blog tour started off as a spark of an idea had by the lovely Viv of Serendipity Reviews and it has grown incredibly into this well planned and immaculately thought out series of posts! Terry himself was an incredibly talented individual and to see so many people, bloggers, book tubers and so on, coming together to celebrate his worlds, his characters and his writing in general. It is refreshing and gratifying to see, and I could not be happier to be a part of this! I have long planned to read all of the Discworld series, somewhere on the right there is a link to a challenge I set myself, back in 2013 I believe, to read the series, and I have failed spectacularly. However, now more than ever, I am determined to read them and so this has also been an honour to be a part of AND an excuse (not that any are needed of course) to read a brand new Pratchett adventure, and for this blog tour, I was escorted to the kingdon of Djelibeybi... No, really... it's one of the oldest kingdoms on the Disc, and Teppic has just become king. Tasked with building his fathers pyramid to help ease him into the Netherworld and with trying to rescue a crumbling kingdom, all sorts is going on! 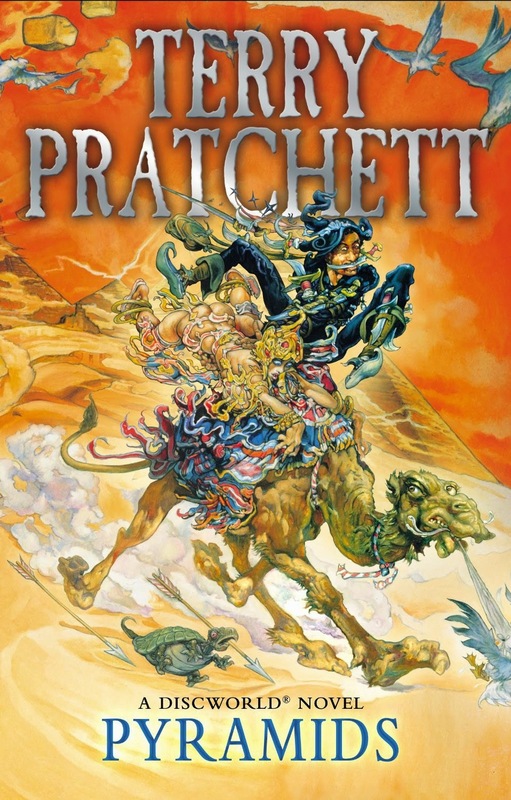 I won't lie, Pyramids, which was originally published in 1989, isn't my favourite instalment of the Discworld series I have read yet. That award is still held by my first ever venture into Terry Pratchett's world, Hogfather. However, this book still trumps some authors at their very best, and that is no mean feat. The book is fun all over. I loved getting to see Teppic training to be an assassin with the Assassin's Guild in Ankh-Morpork, a world so different in a million and one ways to the one he is used to. I loved how he looked at his home afterwards in a new light, that there were improvements that needed making. And as with any Pratchett novel there are a myriad of characters to love, hate and love to hate. From the late King Teppicymon XXVII, to his son, Teppic, Dios the high priest and Ptaclusp and his sons, there are a range of characters for you to fall in love with, and laugh at. And laugh I did! That is the thing about Terry and his work. It doesn't matter what the subject matter is, no matter how tender he is around said subject, he has this knack of making things funny. And sometimes his humour is so subtle! There are some parts that upon first reading them you just breeze over it, but then a half second later it hits you and makes you laugh big time. Death, the character, also made an appearance and so far every time he has popped up in one of the books has been a highlight. It's just so insightful and funny! I really enjoyed his take on Ancient Egypt and how it fits in with the more modern world that surrounds it. The idea of the pyramids lighting up at night, full of power was very cool and something I liked. I also loved, as I always do in Terry's work his use of things in our world, twisting them to fit the world of the Disc and making them more of a commentary. Whilst his books are a lot of fun to read, they are also very thought-provoking, questioning things of varying seriousness. And you know what, it is totally true! The ripples that Terry has caused will never fade, and so he will live on, in a way, for years and years to come! May he rest well! 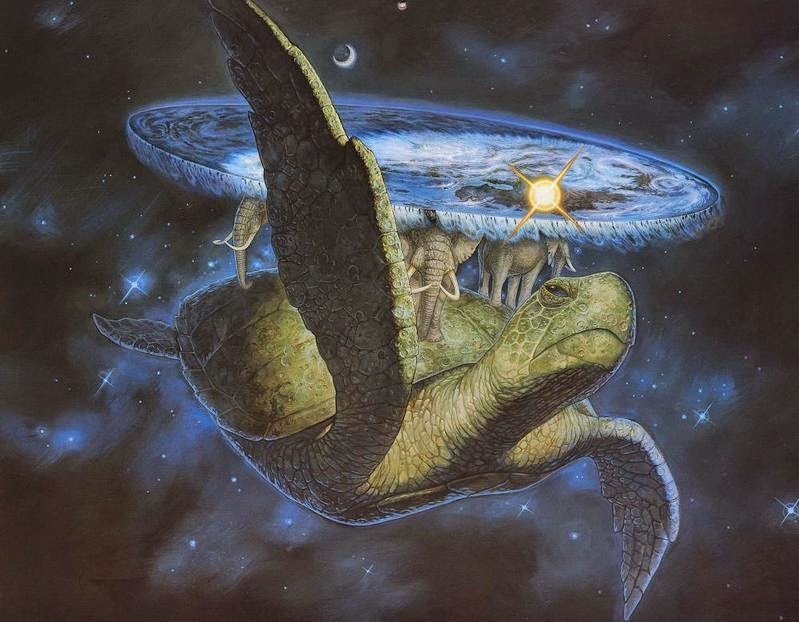 Be sure to follow the Terry Pratchett Blog Tour over on twitter. It's running until 5th May and there are a lot of great posts coming! The quality so far has been amazing so far, only testament to how loved Terry and his work is! Rating: without a doubt, 5/5. Official synopsis: "Sixteen-year-old and not-so-openly gay Simon Spier prefers to save his drama for the school musical. But when an email falls into the wrong hands, his secret is at risk of being thrust into the spotlight. And worse still, so will the privacy of ‘Blue’, the pen name of the boy he’s been emailing. With messy dynamics emerging in in Simon’s once tight-knit group of friends, and his email correspondence with Blue growing more flirtatious every day, Simon’s life suddenly becomes just a little complicated. Now Simon has to find a way to step out of his comfort zone before he’s pushed out – without alienating his friends, compromising himself, or a fumbling shot at happiness with the most confusing, adorable guy he’s ever met." This book guys. This book! Gah. Just... Man, I do not know where to start. I'm going to say it right off the bat, I fell in love with this book so quickly and so unquestionably that whilst I wanted to finish it to see how things would wrap up, I never ever EVER wanted it to end. I wanted it to envelop me as deep into the world of Simon and his friends as I could go. Seriously guys, this is my FAVOURITE book of the year so far, hands down! I first heard about it from George (aka George Lester, and George Lester Writes - this man has AMAZING taste) on Twitter and Instagram. Having already had an e-arc for a few weeks this only made me excited - the things I was hearing and his obvious love for the book made me want to read it even more. The book itself is written so well and Becky has totally managed to capture the goings on in a teenage boys head, let alone a teenage boy like Simon. Simon is gay - he's not out but he's talking to a boy... Well... he's kind of talking to a boy. Emailing a boy, actually. Only Simon has no idea who Blue really is. He know's he is someone who goes to the same school at him, and that Blue obviously isn't his real name, and that Blue, just like Simon, is also gay and not out either. I loved the emails between the two characters. I liked that they took up whole chapters on their own and while this sort of thing can detract from the book itself, taking you out of the main action of the story and distracting you slightly, here it works so well and actually adds to the book. Their emails are so cute, so thoughtful and so real and relatable. The characters all feel real and relatable to, so much so that a few of the characters reminded me of some of my own friends when I was in school, sharing some traits that a few of my friends had and this made me like the book even more, made me get into it even more, because I related to Simon and his situation so well. Whilst I didn't go back and forth emailing some mystery boy, I did struggle with my own coming out and what I love about this book is that it isn't an average coming out book. It's more than that. The whole way the book flows, the way the events take place, it made me feel all warm in side and I felt so happy for Simon. I know the feeling of everything being okay afterwards, but it's the niggling thoughts you get before that really destroy you and my dad and Simon's dad are SOOOOO similar it is unreal. Seriously! 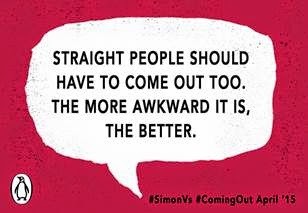 My dad makes everything into a joke, just like Simon's, and he used to make a lot of gay jokes too, but like Simon's dad it died down a long time ago, and was just his way of dealing with things - so that was another thing I liked about the book. The fact that it was so relatable, for myself at least, was incredible and I know there will be countless others out there who identify with Simon and with aspects of the book itself. The book is so quotable, and I love this one in particular, it really spoke to me and it rings true! Why should it just be gay people that have to come out? Why should it just be accepted that everyone is straight? And Blue! Oh man I did not see that coming. All the way through the book I was trying to work it out, it's almost like a gay whodunit, or more rather, I guess, a whoisit? I would decide with one chapter that it would be one person, and then the next I would guess that it was someone else, but never once did I actually get it right! Damn! Becky your red herrings were very well placed! The reveal and the aftermath though had me smiling from ear to ear right through the last pages of the book! And oreos... That's all I am going to say! Man I love oreos and this book does not help what is already an obsession! Again, thanks Becky! 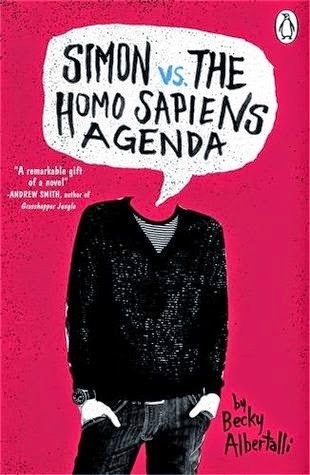 Overall, Simon vs. the Homo Sapiens Agenda is a stunning, beautifully written tale of secret love, coming out and growing up that will make you fall in love with the character and beam from ear to ear when you turn the last page, more than satisfied! I love this book so much and would gladly read it again, and again, and again, and again. Because it is such an important book! We need more books like this! We need more books that normalise being gay - when I was in my teens there was nothing around like this at all. Nothing. And that makes me sad. If books like Simon vs had been around when I was a teenager I dare say my outlook at the time would of been completely different to the one I had in reality. I cannot thank Becky enough for such a wonderful book and for George's ranting on Twitter and Instagram that this book was amazing and needed to be read by everyone. He wasn't wrong, and I cannot wait to see an even bigger outpouring of love for this book as time goes on! My thanks to Penguin for my e-review copy via Netgalley! 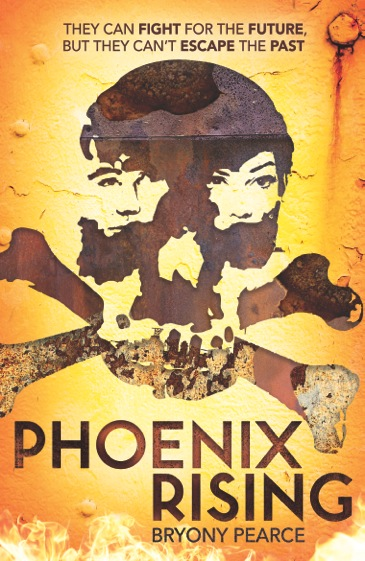 "An outlawed pirate crew fight for survival on their ship, the Phoenix, kept afloat by whatever they can salvage or scavenge from the debris-filled seas. Toby’s father is a wanted man. For as long as Toby can remember, they’ve been on the run. The Phoenix has become their home, their backyard the junk-filled seas surrounding it. The crew of the Banshee lives for hunting down the Phoenix and now they’re closing in. Ayla has spent her whole life fighting – preparing for the moment when the Banshee will face its ultimate enemy. But Toby doesn’t want to run any more and Ayla is his only hope. Can he turn an old feud into a new alliance? The future is in their hands." First off... WOW! That is a beautiful cover! And secondly, doesn't this sound exciting? Heck yeah it does! I've been lucky enough to get an ARC of this and I for one cannot wait to get stuck in, so look out for a review nearer to publication!